Secudraingeosynthetic drainage system is three-dimensionally extruded polypropylent (PP) drainage product manufactured of wave structured monofilament 3D mesh. 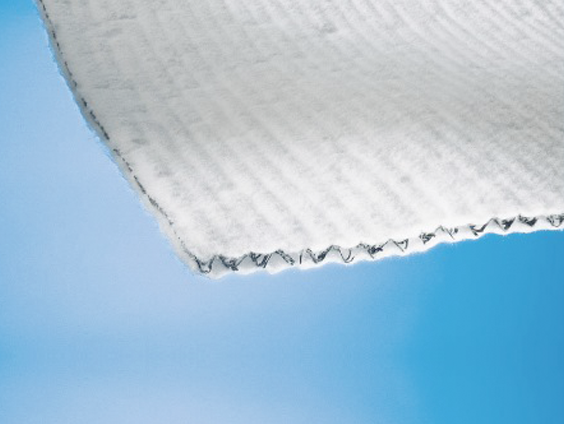 Attached needle-punched Secutex filter nonwovens are engineered such that the mechanical filter effectiveness as well as the hydraulic filter effectiveness (water discharge without loss of pressure) are both achieved. Secudrain is a high efficient drainage system, with high compressive stability. All layers are uniformly bonded together to maintain a high shear strength, Secudrain solves liquid and gas drainage problems.